The first cohort of Advanced Critical Care Practitioners (ACCPs) has completed an innovative training programme that helps with the treatment of critically-ill patients. The programme is run by Health Sciences and local NHS providers including Portsmouth Hospitals NHS Trust and was developed in response to a shortage of middle grade critical care doctors. ACCP students are required to undertake both academic training and ‘on the job’ clinical training to acquire all the necessary knowledge and skills to perform at an advanced level of practice, similar to that of a middle grade critical care doctor. The first five students have now completed their PG Diploma in Advanced Critical Care Practice, which allows them to apply for associate membership with the Faculty of Intensive Care Medicine (FICM) as an ACCP. The ACCP students come from a range of roles including paramedics, nurse and physiotherapists. Dr Matthew Williams, from Portsmouth Hospitals NHS Trust, added: “The ACCPs are absolutely key to the service we offer our patients. They provide continuity of the service day to day, organisational memory (ensuring rotating clinical staff get quickly up to speed), drive innovation and development in our service, teach and support clinical colleagues, and provide a stable, high quality, very skilled service. 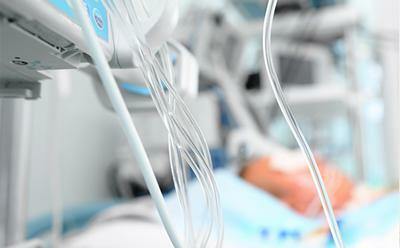 Student Sonya Stone is an Advanced Critical Care Practitioner at Portsmouth Intensive Care Unit (ICU), Queen Alexandra Hospital, and is among the first cohort to complete the training. She said: “As an ICU nurse I wanted to progress in my career but wanted to remain in a clinically focused role rather than move towards management. This course gave me the opportunity to develop my practice to meet the requirements set by the FICM to become an ACCP. Sonya added that a real advantage of the course was the opportunity to put theoretical knowledge into practice, through the combination of joint clinical and academic study, and says she is confident that both her patients and her employer will benefit from her enhanced expertise. She said: “Being able to think critically about my decisions when managing patients will mean they always receive excellent, evidence-based care, and I can also now manage patient care as an autonomous practitioner. “With regards to my employer, having ACCPs in an ICU has many benefits - we provide a constant, permanent body of senior staff working as part of the medical team, which is invaluable when the medical workforce rotate on a three- or six-monthly basis. ACCPs also provide a bridge between the medical and nursing teams, which means we can support nurses in their practice, provide teaching, and act as role models. Learn more about our Advanced Clinical Practice programme and the Advanced Critical Care Practitioner pathway.